This is the first tutorial of programming for the Wii and it will cover setting up our environment. These tutorials will be as detailed as I can make them and will try to cover different programming subjects. You can grab the PDF of this tutorial here: codemii-tutorial-1. Our first step in order to code for the Wii is to set up the programming environment and for this we are required to download DevKitPro. DevKitPro is a compilation of compilers, useful applications and example source code which will all be set up for us at a click of a button. For those wondering what a compiler is, a compiler is an application which can convert our code into a machine executable format. 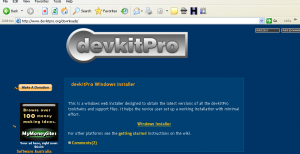 So let’s go to www.devkitpro.org, select Downloads then select Windows Installer. 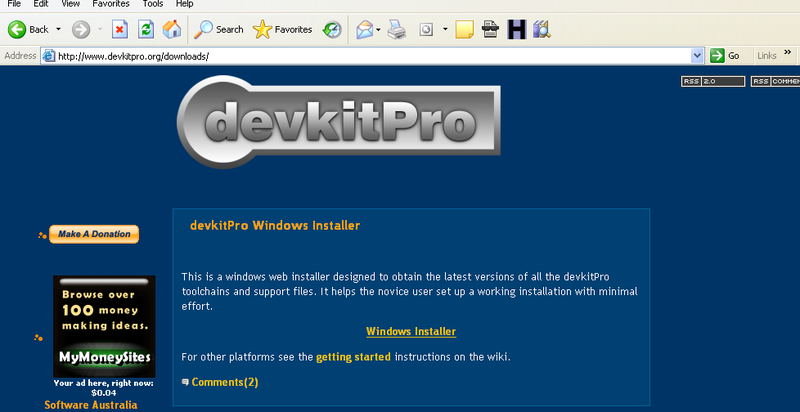 This will take you to the sourceforge devkitpro page where you should click on the .exe file to download it. 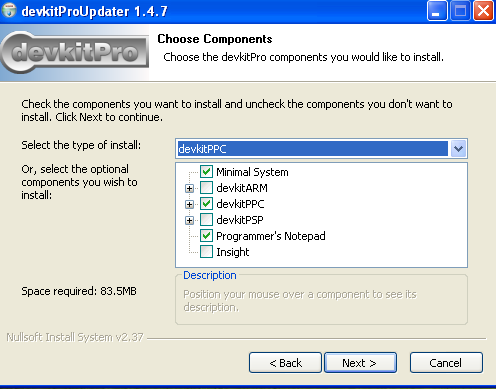 At the time of writing this tutorial it is devkitProUpdater-1.4.7.exe. Save the file somewhere on your computer and then run it. Once in the installer, say yes to downloading and installing files and yes to keeping the files we download. When it gets to the screen where it’s asking you which components you want to install, you only need to check the minimal system box, devkitPPC box and Programmer’s notepad box. 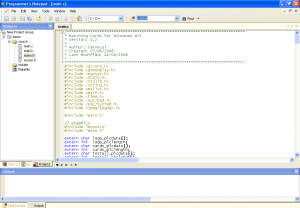 PPC (PowerPC) is the computer hardware which our compiler will compile our source code to. 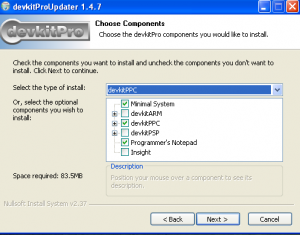 Leave the installation directory as c:\devkitpro. So now we’ve set up the programming environment which was pretty simple wasn’t it? I will give you a run down of the things included in DevKitPro that will be useful for us. Firstly we have Programmers Notepad (devkitpro/Programmers Notepad) which is where we will be writing our code in. Programmers notepad makes things a whole lot easier for us by using syntax highlighting, showing line numbers, grouping files into a project, etc. The next application we have is called gcube (devkitpro/emulators/gcube) which is a gamecube emulator. 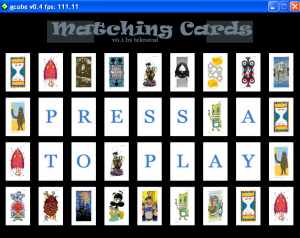 This application is quite handy as you can test most of the code that you develop on it. I find it much easier when writing code to test things out on gcube instead of having to turn on the Wii and test it that way. 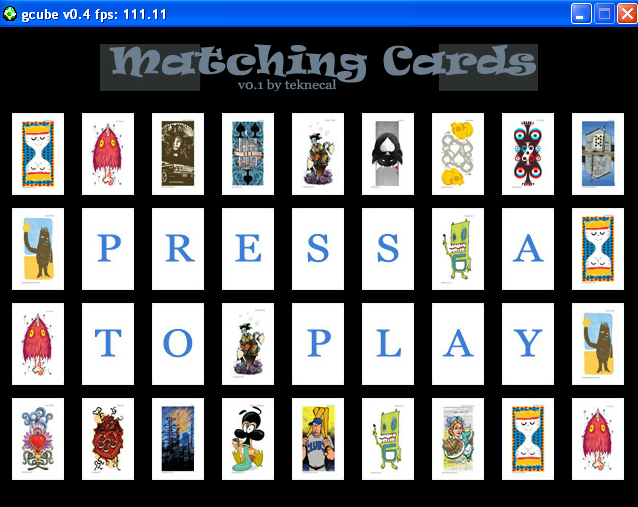 I used gcube to test out the two homebrew games that I made, which were Simon and Matching Cards. The last thing that is handy is the gamecube and Wii example source code (devkitpro/examples). 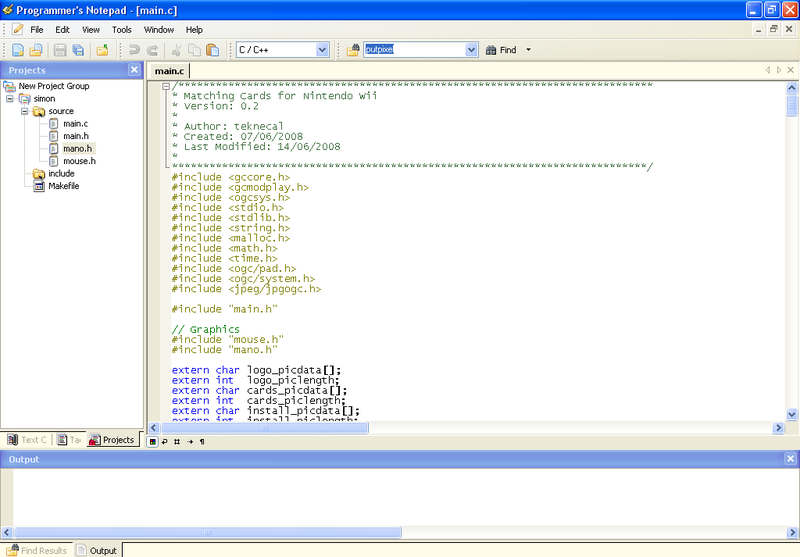 The source code gives us a template which we can start our applications on. Example source code for the gamecube includes how to access the dvd, memory card, network, etc. In the next tutorial I’ll cover Makefiles, compiling your first source using the template example, dealing with errors and a very basic run down on the C programming language. This entry was posted on Sunday, August 10th, 2008 at 10:17 pm and is filed under Wii Programming Tutorials. You can follow any responses to this entry through the RSS 2.0 feed. You can leave a response, or trackback from your own site. Can you post posix (mac/linux) instructions? yay! I will use this. When are you going to post your next blog on compiling? For Mac/Linux instructions I don’t actually run either of those systems so I won’t be able to post any instructions on them. I will hopefully make and post the next tutorial on the weekend. thank you a lot. I’ve tried to start coding by myself but didn’t know how to start. codewise just use your favourite editor to edit the source file, all the actual code is the same as you are cross compiling. i tried re installing, re downloading, and still nothing, i even tried older versions of the program, it happens the same with every version.